Home / Team Members/ Lazaro Cardenas, Esq. is a graduate of the Rutgers University School of Law and an admitted attorney in the State of New Jersey. Since graduation, he has held various positions in the legal field. Currently, he is a PaPtner at Patel, Soltis & Cardenas, LLC, in Jersey City, New Jersey. In his legal career, Lazaro takes pride in assisting clients in various legal matters, from foreclosure defense to immigration issues. He currently focuses on Probate maters and Real Estate Transactions. 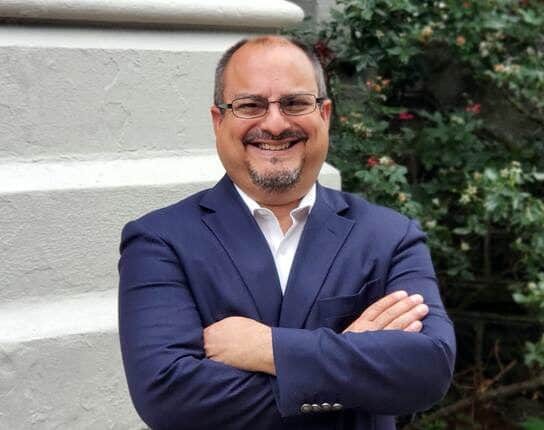 In addition, he serves on the boards of directors of some of the leading Latino advocacy organizations in New Jersey including the Latino Coalition of New Jersey where he serves as Deputy Director, and the Latino Action Network where he is a director. As a Latino activist and an active member of Hispanics Inspiring Students’ Performance and Achievement (HISPA), he is a regular speaker at schools throughout New Jersey discussing the importance of education and issues that impact Latinos and minorities. He is a founding chair of the Latino Festival of Monmouth County, established in 2005.
was to work with lawyers and legislators to assist Freehold Borough schools to obtain funding for a school expansion. In April 2006, Acting Governor Richard J. Codey appointed Cardenas to serve on the Freehold Housing Authority as Commissioner with the mission of overseeing its functions. He was reappointed to this commission, by Governor Jon Corzine, in April of 2010, and still serves as Commissioner. Prior to his law career, Lazaro worked in the financial services industry from 1991 till 2014. For 18 years he worked as Director of Information Technology at Prudential Insurance Company of America where he managed a team specializing in engineering technical solutions to solve business problems. Cardenas resides in Freehold, New Jersey with his wife (Yeni) and two sons (Andres and Alejandro). He is a graduate of Brookdale Community College. He also holds a Bachelor’s degree and a Juris Doctorate degree from Rutgers University and is a member of both the Brookdale and Rutgers University Alumni Association.